DETROIT -- The 2019 Chevrolet Silverado with a new four-cylinder engine will achieve an EPA-estimated 21 mpg combined, or 20 city/23 highway. That equates to about 11.2 litres per 100 kilometres combined and 11.7 L city/10.2 L highway in Canada. The ratings, for rear-wheel-drive models, are not much better than the fuel economy of the redesigned pickup's 5.3-litre V-8 engine, which offers 19 mpg combined (17 city/23 highway), according to the EPA's website. That’s 12.4 L/100 km and 13.8 L city/10.2 L highway on Canadian roads. GM did not release fuel-economy ratings for the 2019 4x4 Silverado, which are traditionally less fuel efficient. 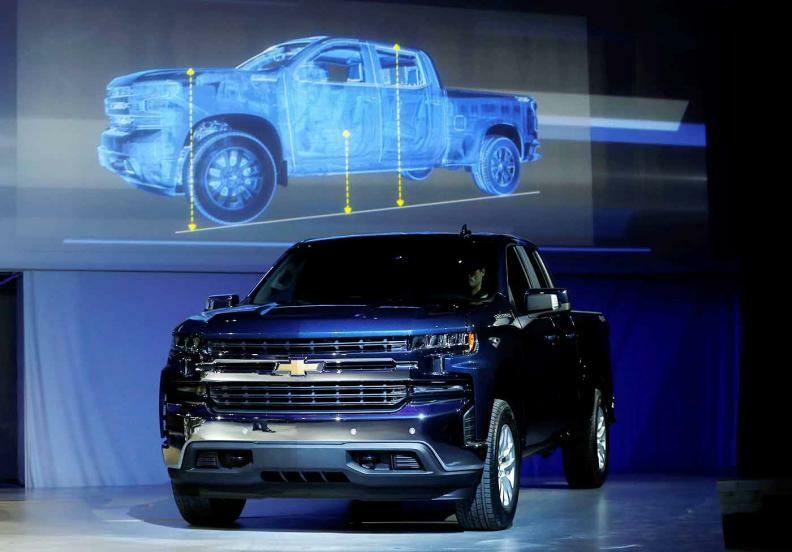 The fuel efficiency of the Silverado's 2.7-litre turbo engine, which is standard on midlevel LT and RST models, is in line with other entry-level truck engines from Ford Motor Co. (3.3-litre V-6) and Fiat Chrysler Automobiles (3.6-litre V-6 with a light hybrid system) that offer 22 mpg combined (10.7 L/100 km). Those engines, however, offer up to 25 mpg (9.4 L/100 km) highway. The engine, according to GM, offers 14 percent more torque and 13 per cent better city fuel economy. It is rated at 310 hp and 348 pound-feet of torque and is paired with an eight-speed automatic transmission. Canadian pricing of the truck hasn’t been announced. In the United States, the Silverado LT starts at $38,395 (all figures USD) with the four-cylinder engine with a double cab and standard bed. The same RST model starts at $40,295. It's $2,400 more for each of the models with a short bed and crew cab, which makes up a majority of U.S. pickup sales. All pricing includes shipping.